Grandmaster Flash, DJ Jazzy Jeff, Steve Aoki, Daft Punk are some of tho most famous DJ's on the dance scene EVER! Until the emergence of DJ AM. 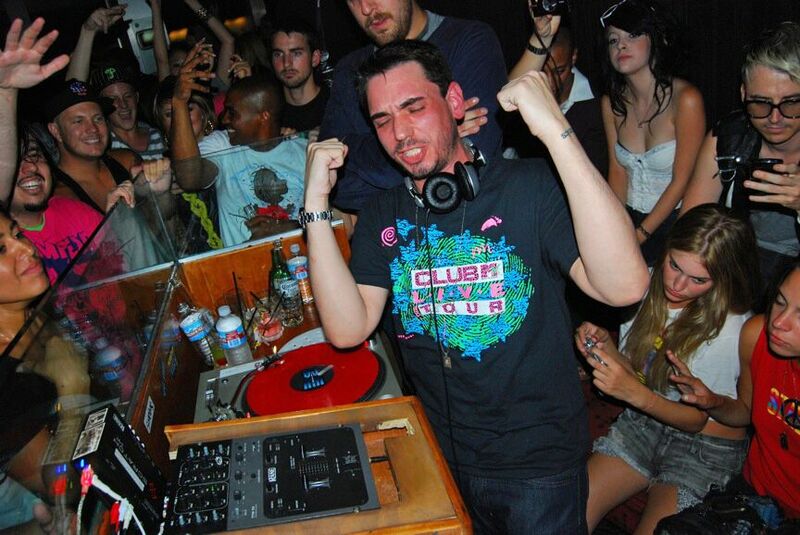 DJ AM aka Adam Goldstein was the first to command a million bucks to spin. The phrase 'mash up" is famously aligned with his name and his spin crafting skills made him one of the most famously sought after DJ's for such celebrities as Robert Downey, Jr,, Jay-Z, Tom Cruise, Madonna and many more. As accomplished as he was at being a DJ, the one thing he couldn't quite a grab a handle of was his sobriety after a harrowing survival of a tragic plane crash. Adam had the deck stacked against him from conception. His Dad wanted nothing to do with him, weight was an issue and self-love. All these factors had a number in line with his ultimate addiction. A habit that he kicked and would ultimately become his demise. He was found dead - shirtless in sweatpants, a crack pipe and pills inside his New York City apartment at age 36. He tried desperately to kick a disease wont' let you run away if your will is weak...it just doesn't work that way. At the end of the day, he would still always be a chubby, insecure boy that nobody liked. For DJ's everywhere...he changed the game forever. Thanks to Director/Producer for putting this struggle on film. In light of recent overdoses like Prince, Michael Jackson, Amy Winehouse...let us hope that if watching this saves just one life DJ AM's life was a life worth living. AS I AM: THE LIFE AND TIME$ OF DJ AM is playing at Arclight Cinemas in Los Angeles as of June 3rd and various theaters in the New York area.